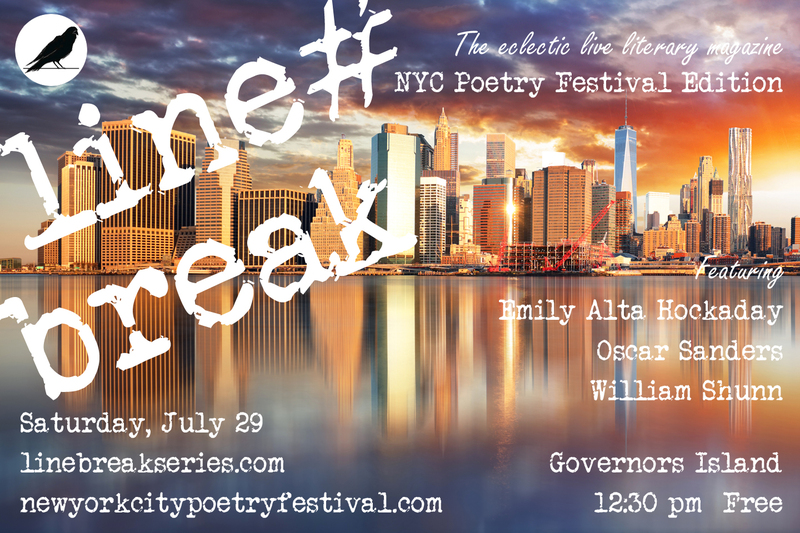 Please join Emily and all our outstanding readers for Line Break #9a, Saturday, July 29, 12:30 p.m. at the New York City Poetry Festival on Governors Island. Admission is free! Line Break is here again! 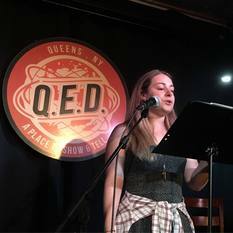 It's the eclectic monthly live literary magazine where poetry meets prose, fact meets fiction, and high-brow meets low-brow, this time in a special New York City Poetry Festival Edition on Governors Island. Saturday, July 29, 2017, 12:30-1:00 p.m. Admission free. Festival open from 11:00 am to 6:00 pm, July 29 & 30. Thanks for making Line Break #9 our best show yet! Bottomless thanks to everyone who turned out for our ninth regular episode of Line Break this past Saturday, at beautiful Q.E.D. in Astoria, Queens. Just by showing up and giving us the gift of your attention, you helped make the afternoon bigger and better than it would have been without you. Thanks as always to Q.E.D. for giving us the space and an opportunity to use it. And thanks especially to our amazing readers, who made it the incredible show it turned out to be. Stephanie Grossman read us her LARPing article from Paste Magazine, Joshua McCuen explored an unfinished hotel through a young boy's eyes, Oscar Sanders brought us political poetry from his one-man play Exposing Politics, William Cusick laid out the nuances of how to host a weekend nervous breakdown, and Libba Bray stuck the landing with her fierce and uncompromising poem "WOMANIFESTO." If you couldn't make it out on Saturday, please mark your calendar for Saturday, August 5th, when we'll we back with our tenth issue, featuring Olena Jennings, Nicholas Kaufmann, David Keck, and Rajan Khanna. We look forward to seeing you again in August! Until then please check out all the terrific shows and events at Q.E.D. There is something amazing happening there literally every day. Will you answer "The Call"? Here at Line Break, we love to feature the work of our readers when we can. So please, on this Independence Day, check out this animated short film by Jonathan Weiss, which was scored by our recent Issue #9 reader William Cusick. Reminder: Line Break #9 is this Saturday afternoon! 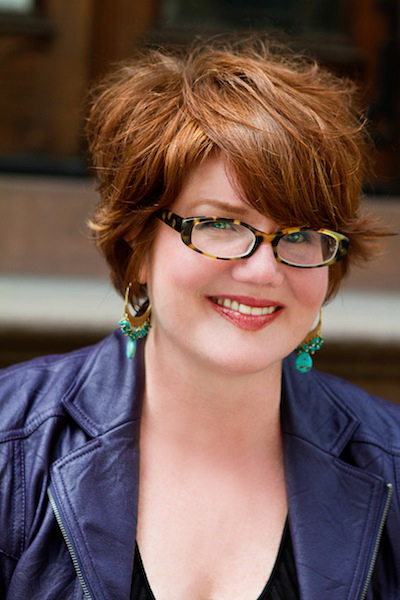 Libba Bray is the #1 New York Times bestselling author of the Gemma Doyle trilogy (A Great and Terrible Beauty, Rebel Angels, The Sweet Far Thing), the Michael L. Printz Award-winning Going Bovine, the Los Angeles Times Book Prize finalist Beauty Queens, and the Diviners series (The Diviners, Lair of Dreams, and the forthcoming Before the Devil Breaks You). She is 1/4 of the all YA-author rock band, TIGER BEAT, whose seminal debut album, Where's the F*%ing Food Court?, has been certified gold(leaf) in Arkansas. 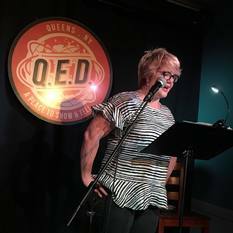 Please join Libba and all our amazing readers for Line Break #9, Saturday, July 1, 3:00 p.m. at Q.E.D. in Astoria. Tickets are only 7 bucks! Stephanie Grossman is a writer and marketing professional in New York City who has worked for several publishing houses, including Simon & Schuster and Penguin Random House. 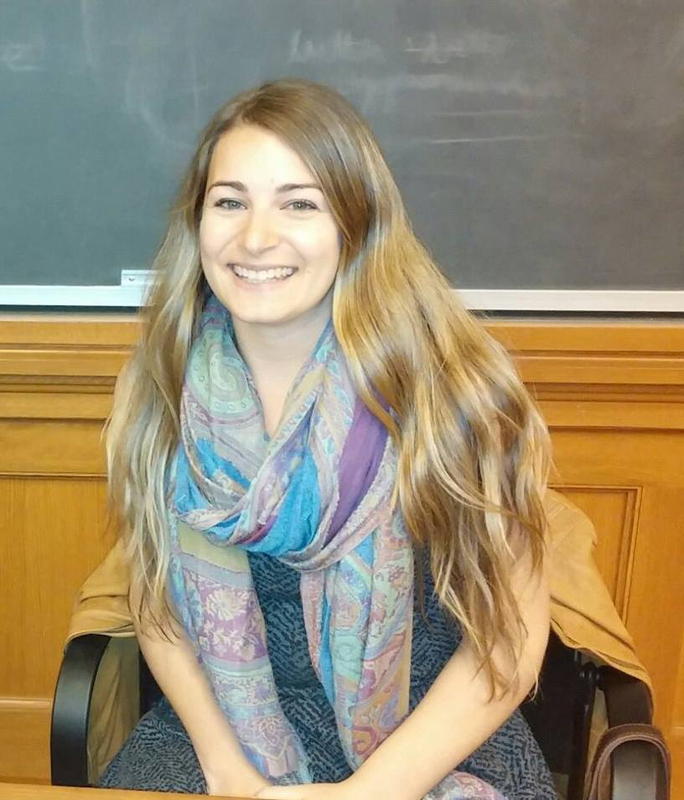 She currently works at JSTOR, a scholarly research digital archive. 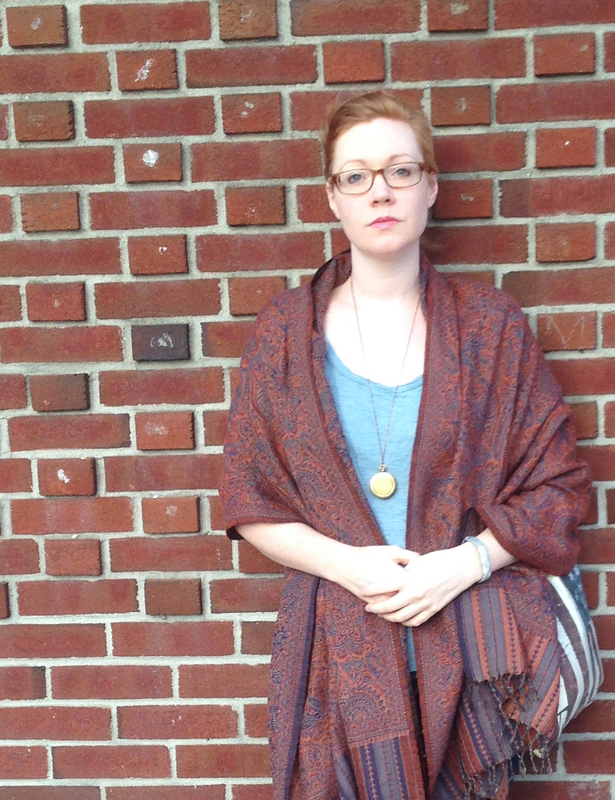 Her writing has been published in Paste Magazine and BOAST: Best of Astoria. Find her online at anxietyofauthorship.com and follow her on Twitter at @StephMGrossman. 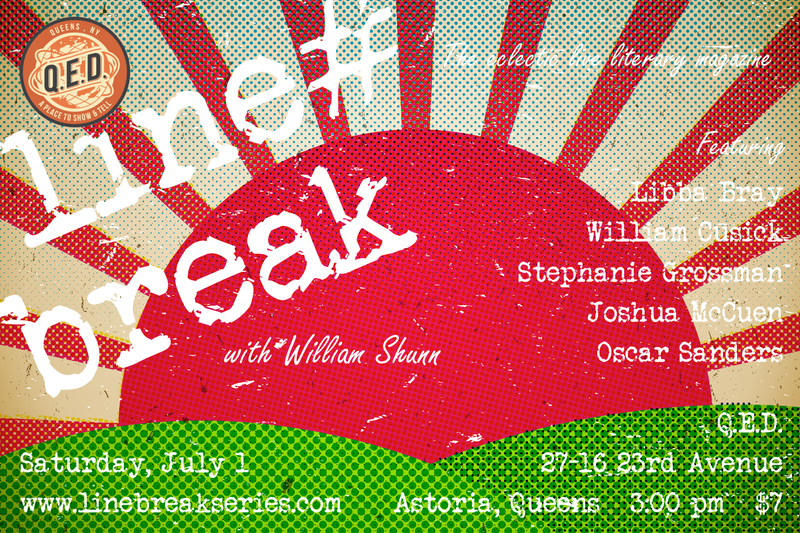 Please join Stephanie and all our accomplished readers for Line Break #9, Saturday, July 1, 3:00 p.m. at Q.E.D. in Astoria. Tickets are only 7 bucks! Oscar Sanders was born and raised in the Bronx, NY. 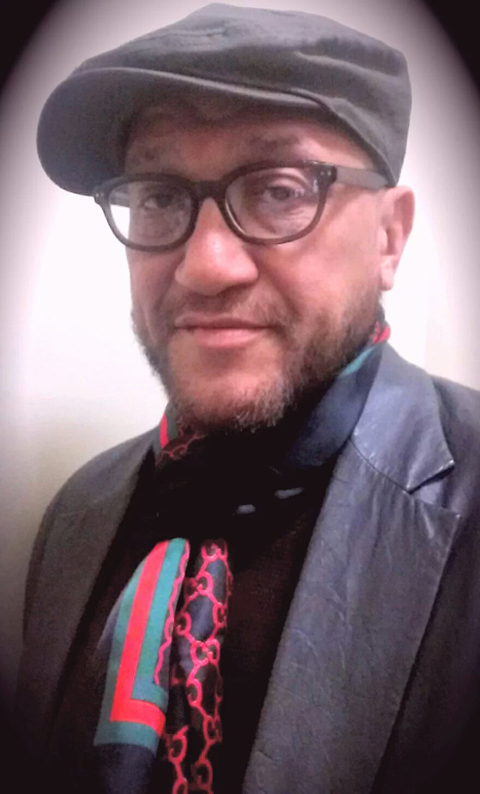 The former jazz/funk/rock guitarist has garnered awards for shorts, features, documentary films, and a political crime novel. His creative writing led to seething political spoken word poetry and performances. 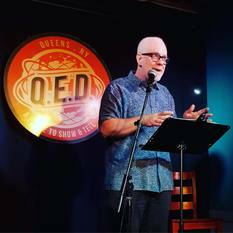 Please join Oscar and all our accomplished readers for Line Break #9, Saturday, July 1, 3:00 p.m. at Q.E.D. in Astoria. Tickets are only 7 bucks! 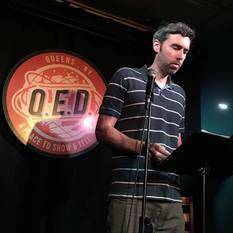 Joshua McCuen is a recent MFA graduate who is still trying to figure out what to do with his life. He will be running away to Italy shortly, and this will be his last reading before he pulls a Robert Johnson and disappears for a year or two. 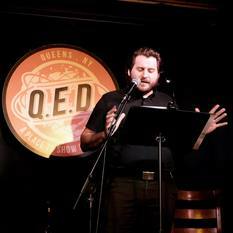 Please join Josh and all our spectacular readers for Line Break #9, Saturday, July 1, 3:00 p.m. at Q.E.D. in Astoria. Tickets are only 7 bucks! 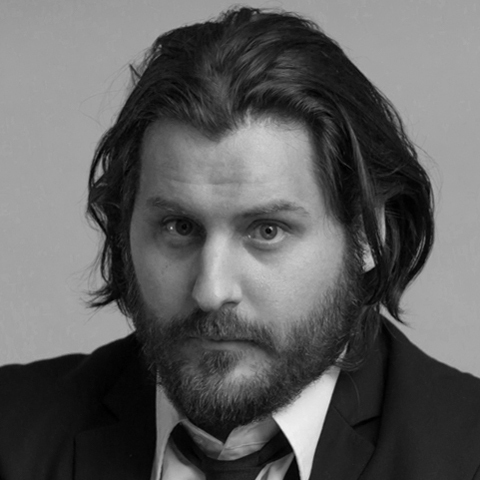 William Cusick is a writer and filmmaker based in NYC. 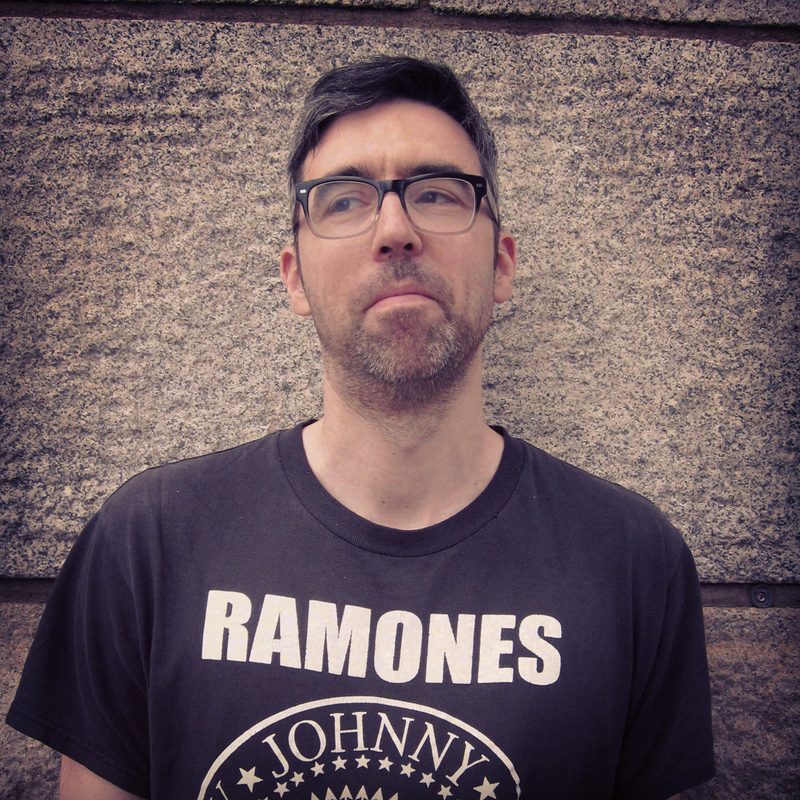 His music film Pop Meets the Void was awarded Best Feature Film of the 2015 Lower East Side Film Festival, screened at the Museum of the Moving Image in 2016, and awarded Best of the Festival and The Audience Award at the 2016 Queens World Film Festival. 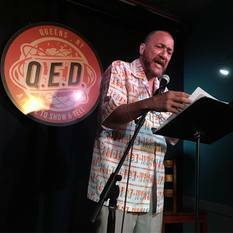 Please join Bill and all our outstanding readers for Line Break #9, Saturday, July 1, 3:00 p.m. at Q.E.D. in Astoria. Tickets are only 7 bucks!